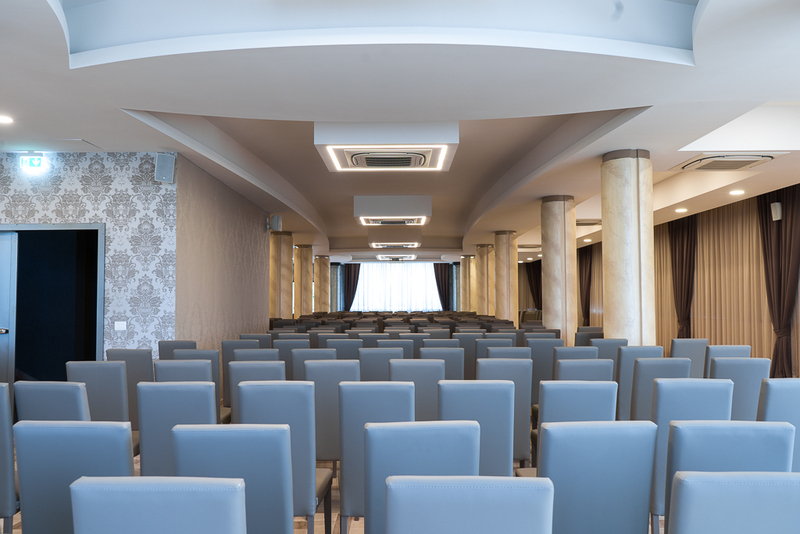 The Meeting Room is modular in different solutions and it can host events from 50 up to 400 persons. 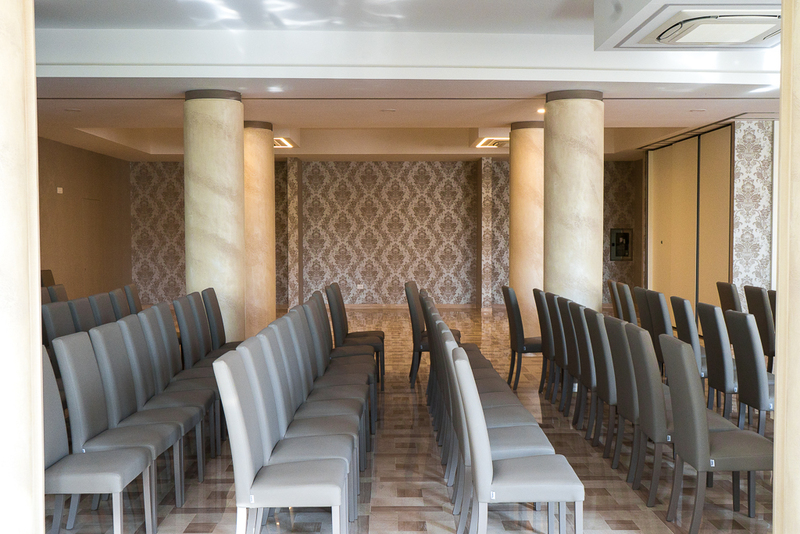 The recently renovated rooms offer leather seats, raised marble stage, natural light or LED. 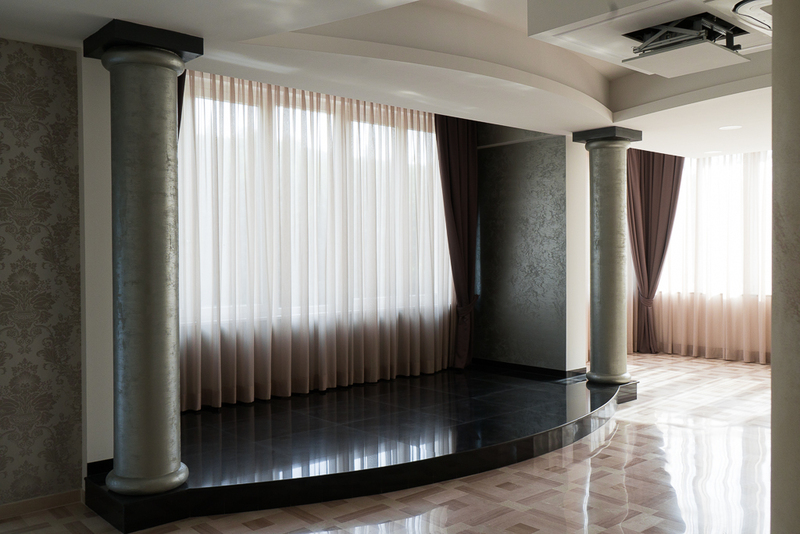 The spaces can host any type of Event, Congress, Seminars with the most varied set-ups and exhibitions. The Meeting Room is on the First Floor and is accessible to the disabled through a comfortable lift from the ground floor. Thanks to its modularity, the Meeting Room lends itself to a great variety of installations. The direct accessibility from the outdoor parking area makes it suitable for meetings designed also with the participation of non-resident guests in the hotel and for installations requiring direct access (cars, exhibition stands, technical equipment).